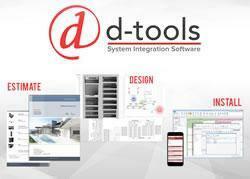 D-Tools’ System Integrator (SI) is the most widely used and comprehensive estimation, design, and project management software platform, specifically designed to fulfill the diverse needs of residential AV systems design and installation firms. D-Tools ties project workflow together into a singular, data-driven, connected process that increases operational efficiency while reducing time and costs. Along with access to a comprehensive library of manufacturers’ products, this solution positively impacts all areas of a system integrator’s business. Learn More About D-Tools, Inc.
RETRO-M is designed to replace existing Home Intercom Systems and operate on existing 3 and 4 wire systems. 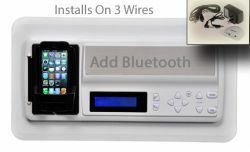 BLUETOOTH you music by adding the BT-RECEIVER. No need to remove existing master wall housing, trim plates available to cover those large holes. The RETRO-M intercom unit has a built-in AM/FM radio. Plug in mp3 players such as iPod, iPhone, Zune or any other hand held player into the master and share your music with the entire family. Choose between two music sources; listen to the radio in one room and the mp3 in another room. Learn More About IntraSonic Technology, Inc.
WaterCop is growing! 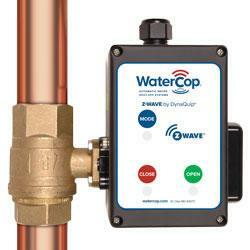 WaterCop Z-Wave offers additional security, safety and peace-of-mind for any Z-Wave smart home system. Check out our newly added Z-Wave controlled water shut-off valves for water pipes up to 2″ for both indoor and outdoor applications. In addition we offer Leak Stop, WaterCop Classic, WaterCop Pro, Outdoor, Dual Valve and Large Valve Systems for residential, multi-family and commercial needs. WaterCop has you covered! Please visit www.watercop.com to learn more. C1M1 offers a truly significant reduction in transmission time in comparison to other communicators that rely on dial capture or data bus decoding. This can result in quicker response time to emergency situations which could save lives and assets. By providing both IP and cellular pathways, C1M1 provides the reliability installers are looking for in an alarm communicator. C1M1 eliminates port forwarding and extra fees for remote access. Installers can remotely upload/download programming changes to M1 controls over IP or cellular using ElkRP2. 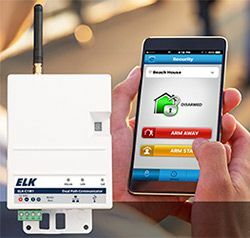 Consumers can control the M1 remotely via the free ElkLink mobile app and web portal, as well as eKeypad and M1 Touch Pro apps. Other IP-based software and interface partners can connect to the M1 control over the local network through C1M1. C1M1 also provides email/text notifications for arm, disarm, and alarm events. ELK-C1M14GSM supports GSM (AT&T/T-Mobile) networks and ELK-C1M1CDMA supports CDMA (Verizon) networks. Learn More About ELK Products, Inc.
You asked, we listened! 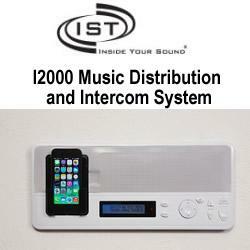 Music lovers that want to enjoy their tunes everywhere – yes, everywhere! – now have a high-tech, easy-to-use option that upgrades the look and functionality of any home or office. 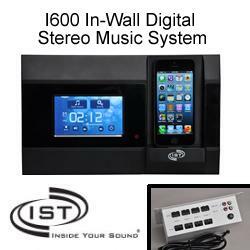 The I600 In-Wall Digital Stereo Music System is a music distribution system that provides enhanced usability and delivers mind-blowing stereo quality sound. With touch screen controls, Bluetooth connectivity, and several music source options, the I600 turns your surroundings into an amazing music entertainment experience. As flat panels themselves become increasingly slimmer, customers are looking for even more ways to get these mounted TVs and monitors as flush with the wall as possible. The Video Mount Products IWB-1B is an in wall box that allows up to a 32-inch flat panel to fully collapse into a wall. It installs easily between two 16-inch on center wooden studs, has integrated cable and electrical knockouts, and a high load capacity. The IWB-1B works with the LCD-1B and LCD-2537B mounts. The IWB-1 is yet another option for discerning installers and customers who demand both aesthetic appeal as well as the famed VMP reliability. 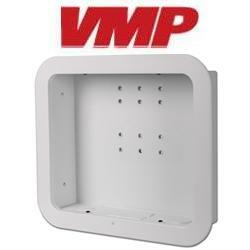 Whether in the office, commercial install, home, or any other application where a low-profile wall mounted flat panel option is desired, the VMP IWB-1B is the answer.